If you have any questions feel free to email me at: dannettedbbjelland@1me.net . Ferrari Testarossa-Features Black with Tan interior. 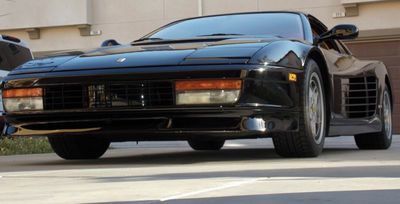 This is an 88 1/2 Testarossa with the anti-dive front suspension and 5 lug wheels. Major service just completed by Franco's European Sports Cars. 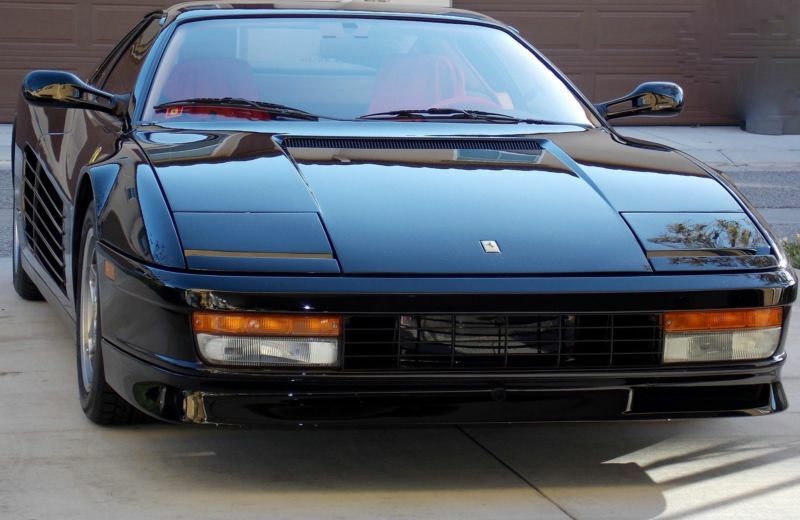 This Testarossa is an absolute show stopper in Black. This car runs like it is brand new. I own my Testarossa since 2001. Purchased from Steve Harris Ferrari dealership in UT. Since my ownership I have made sure to service my car twice per year and every five years major service (engine out). First engine out service was done in 2003 (26k miles)by Steve Harris Ferrari dealership with a cost of $5700.00, second major service was done by Alfa of Tacoma, LTD. Started in 2008 and completed in 12-2010 (36.5k miles) with a cost of $30, 000. we did everything the car needed or was going to need. (two years and 30k dollars car was like brand new) Third major service was done by the best of the best Franco from Franco's European, he had the engine out in 12-2015 at the same time he replaced the rotors Brake pads with brand new OEM parts all four wheels, also brand new tires all four. job was completed on 03-2016 at a cost of $10, 000. (46k miles) And of course in between the major services my Testarossa will be at the shop twice per year for inspection and fresh fluids. All service records are available for viewing. Reason for selling- after seven years I got done restoring my 1978 Lamborghini Countach. Thank you.